Add Jack Daniel’s, Benedictine and orange bitters to shaker. 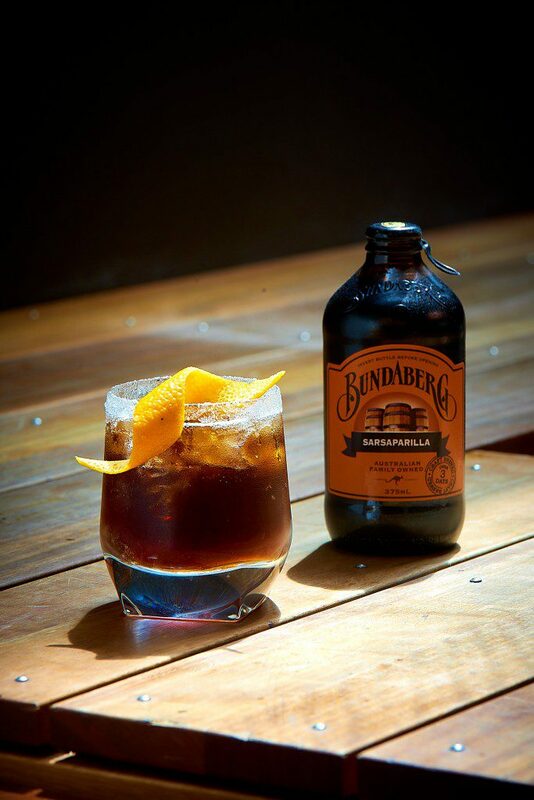 Top with Bundaberg Sarsaparilla and ice. Shake. Pour into glass rimmed with sugar. Garnish with a twist of orange peel.